I’m so excited to see how many people grabbed Instant Pots on Black Friday. It’s seriously the best small kitchen appliance I have…and I have a lot. Some of the time it isn’t even quicker, but it’s so much more convenient so I use it anyway. I love set it and forget it cooking, especially on week nights after 10+ hour work days. I use my Instant Pot the most for making bone broth. Broth is one of the most nutritious and healing foods on earth, but it’s also is the perfect way to add great flavor to any dish…and breakfast soup…BREAKFAST SOUP! If you haven’t had breakfast soup it’s quite simple, just eat soup for breakfast. I know, it seems weird. One of the best things I did when I transitioned to paleo was removed the ‘shoulds’ of meal types. No more ‘breakfast’ foods and ‘dinner’ foods, food is food. It really helped to open up the possibilities and not feel deprived without the ‘normal’ foods I would go to at each meal. This can be really helpful on an autoimmune protocol or elimination diet as eggs are usually out of the lineup for a while. Incorporating broth into breakfast is a great way to start the day. It’s the time of year for all things sugar, cookies, and cakes. I know how difficult it can be to manage a gluten free lifestyle during the holidays, so I’m doing my best to bring you all the paleofied treats and recreations I can. 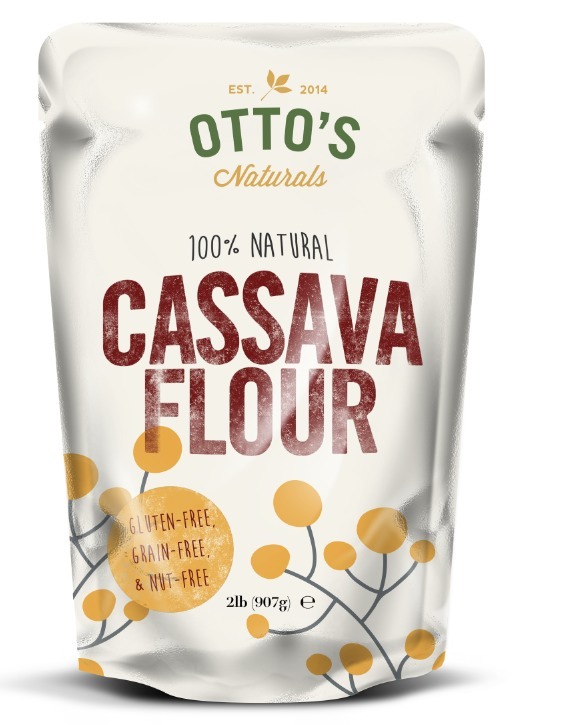 Recreating traditional flour recipes into a paleo recipe is getting easier and easier thanks to Otto’s Cassava Flour, but finding a packaged paleo powdered sugar to make those perfect cookies isn’t as easy. Lucky for you powdered, or confectioners sugar is super simple to make. Grab your food processor and you’ll have some in no time. This recipe uses arrowroot starch in place of traditional corn starch. You could also sub tapioca starch. Roasted garlic, bacon, AND guacamole. Do I really even need to say anything else? I think not. Grab your favorite dippers cause it’s roasted garlic bacon guacamole time! It’s a rainy day here in Florida, which hopefully means that the cooler weather will be moving in soon. Last week’s record setting 90+ degree weather just wasn’t working for my new found soup habits. Despite the heat, I totally loved on this ginger butternut & sweet potato soup. Keeping it short today…on to the food! I didn’t go heavy on the seasonings with this one as the hint of fresh ginger cuts through beautifully on it’s own. Feel free to experiment with different flavors – pumpkin pie spice would be phenomenal.